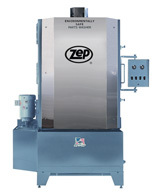 Quality machine designed for easy handling, high performance and longevity. 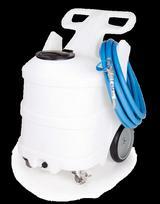 Ideal for stripping, scrubbing, spray buffing, sanding and bonnet cleaning. Features a high-torque motor, precision-cast base, triple planetary gear box, ergonomic trigger grips, protective bumper and adjustable steel handle with cord wrap. 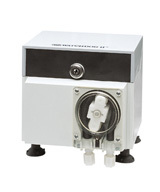 Quality, compact machine designed for easy handling, high performance and longevity. 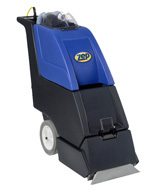 Ideal for stripping, scrubbing, spray buffing, sanding and bonnet cleaning. Features a high-torque motor, precision-cast base, triple planetary gear box, ergonomic trigger grips, protective bumper and adjustable steel handle with cord wrap. Mixes any water soluble liquid product directly from the drum and stores the ready-to-use solution in a 2 gallon container. 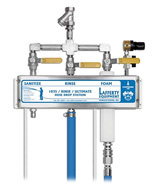 Product is siphoned through the suction tube by a venturi proportioner connected to cold water. System is assembled on a stand that may be conveniently mounted to a wall. 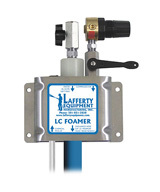 An air-diaphragm pump is mounted on the system to pump ready-to-use product out of 2 gallon container. Piston-type pump for use in 5 and 7 gal. pails with Flex-Spout. 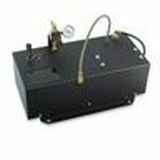 Pump is equipped with necessary flash suppressor and grounding clamps to safely conduct any static charge from product and containers when being used. 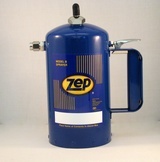 Mixes any water soluble liquid product directly from the drum and stores the ready-to-use solution in a 20 gallon drum. 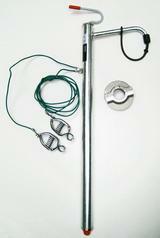 Product is siphoned through a 4-ft. suction tube by a venturi proportioner connected to cold water. 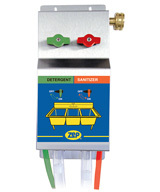 Zep ShurFill Pressure Fill system will fill a pressurized can in approximately 10 seconds. 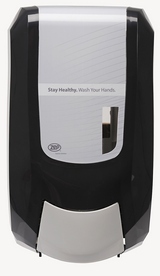 Minimizes waste from the use of aerosol cans by refilling a reusable container. 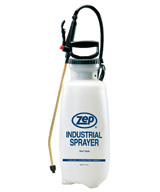 Use material number L90501 for the Model B sprayer and material number L90801 for the Dura Shot S sprayer. 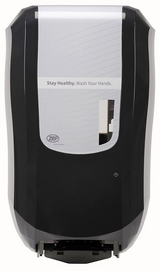 Constructed of anodized aluminum and reinforced nylon for a durable, versatile unit that is nearly indestructible. 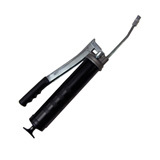 The stainless steel pumping mechanism is resistant to corrosion, rust and abrasion. 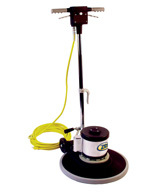 Rolling Foamer is designed to produce consistent foam quality through the use of pre mixed foam cleaning chemicals. 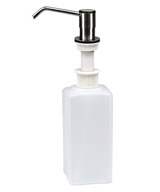 These drop stations are convenient combination systems that will apply one chemical as foam and a second chemical as a sanitizing spray, and rinse. Can be plumbed in series.